This plugin integrates WooCommerce payment gateways with MotoPress Hotel Booking plugin for WordPress. Use it to extend a number of payment gateways needed to handle online reservation of accommodations. Product is subject to a yearly license for support and automatic updates. Join the MotoPress Club to download all existing and upcoming plugins and themes for free. To test backend of Hotel Booking WooCommerce Payments add-on, register your demo: click View Demo button and choose Villagio theme. Install and activate the plugin. Create one WooCommerce product (e.g. Reservation) that will be used for reservations. Navigate to Hotel Booking settings page, activate “WooCommerce” payment and select created product. Set up WooCommerce payment gateways. Your guest chooses the accommodation on your site. Guest provides personal data to confirm the reservation. Guest chooses from the WooCommerce payment gateways offered by you and pays. A new booking appears upon successful payment. WooCommerce orders are automatically synchronized with bookings of Hotel Booking plugin. We only started collecting reviews from March, 2018. 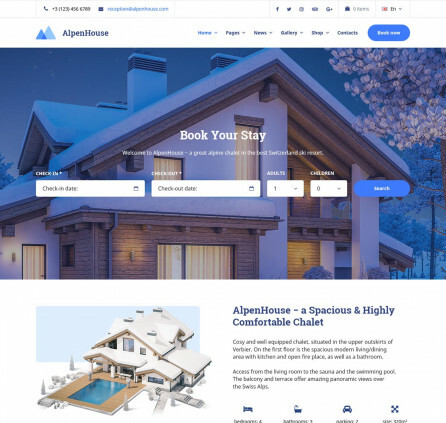 I used Hotel Booking WooCommerce Payments on Oceanica theme both from Motopress to build a world-class functional hotel website, take my word for it, these are the very best that i have come across including their booking plugin. The support team are great guys, swiftly attending to your questions. The amazing thing is that you don’t need to be a professional to work with these great tools, Motopress has simply simplified the use of these tools to build your dream hotel website. Great job. I already wrote a review on the hotel plugin, but we choose this plugin to go with it. You might get second thoughts about the price, but if you really have a need for this you will earn it back. First of all, when you use this plugin you will have more payment options to choose from. Some are cheaper then others. We for example choose Mollie, because the payment options made more sense for my client. But the main reason we choose this plugin because together with the hotel booking plugin it gives you the option to use an affiliate program out of the box. And this will open a lot of doors for your marketing strategies. Together with the booking plugin you can let clients pay with PCI third party solutions, you can sync them with some major booking websites and you can have affiliate partnerships with bloggers and other companies in your branch. I researched channel managers with PMS, they did not have the ability to have a out of the box affiliate option. Besides this, the service of motopress is the best you can hope for. Swift, proffesional, clear, intelligent answers. I highly recommend their services. Does this version allow synchronization with OTAs. 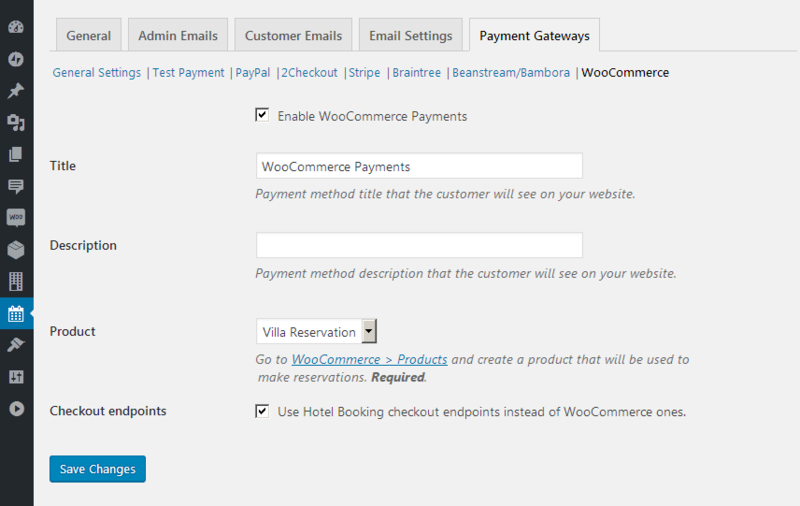 Hotel Booking WooCommerce Payments is not the base plugin and it does not have the functionality for synchronization. The MotoPress Hotel Booking plugin is the base plugin. It provides the booking and syncing functionality, and has the following in-built payment gateways: Pay on Arrival, PayPal, 2Checkout, Braintree, Stripe, Beanstream/Bambora. If these payment gateways are not enough for your business, you can connect custom ones through WooCommerce, Hotel Booking WooCommerce Payments (purchased separately) and a WooCommerce addon for your custom payment gateway. Hi, will this plugin allow us to use WooCommerce Deposits – Partial Payments Plugin? our idea is to allow customers to choose: pay the booking full amount, or pay a deposit. Thank you for your question. It looks like partial payments plugin modifies woocommerce ‘add to cart’ button however current addon just integrates payment gateways from woocommerce. So we do not think you can use partial payment with current addon and Hotel Booking plugin. Hi, Just wanted to know if this addon works with all woocommerce payment gateways? Yes, it does. We have not experienced any incompatibility issue so far. You are able to contact support team if you face any difficulty. I have the following question about Hotel Booking WooCommerce Payments: I read in the documentation that when a WooCommerce payment getaway is used, booking is added to calendar and a WooCommerce order is created. Does this WooCommerce order contain all the info relevant to the booking? (i.e name, email #ofpeople, dates, discounts used etc). I am looking for a way to automatically synch all bookings to a google spreadsheet. One way would be if I could extract booking details from created WooCommerce order. If this is not possible, is there any other way you can think of? Thanks for your question. The WooCoomerce Order contains just information related to the payment – name, en=mail, address, etc. The reservation details are not included there. However it is linked with proper Booking ID so you can see related booking and orders. We have the feature to export bookings in CSV format as reports and we’ll do our best to provide some solution within further updates. Thank you for your feedback. I am wondering if this add on will work annually or just for one year. Do I need to purchase this add-on once a year to make it work? Do I have to purchase the premium Hotel Booking for a pre-qualification. The license of this addon is annual for updates and support i.e. you will need to renew license with 50% discount to get support and updates. Hotel Booking WooCommerce Payments addon allows to integrate payment gateways from WooCommerce but it requires base plugin Hotel Booking. Could you specify what payment gateway(s) you would need to apply to make reservations online? Is it possible to use Square Gateway? Thank you for your question. This addon integrates payment gateways from WooCommerce to Hotel Booking. So we recommend to check if there is available Square Gateway for WooCommerce first. If there is one then you can proceed and purchase Hotel Booking + Hotel Booking WooCommerce Payments and integrate the needed payment gateway. Let me know if you have any additional question. 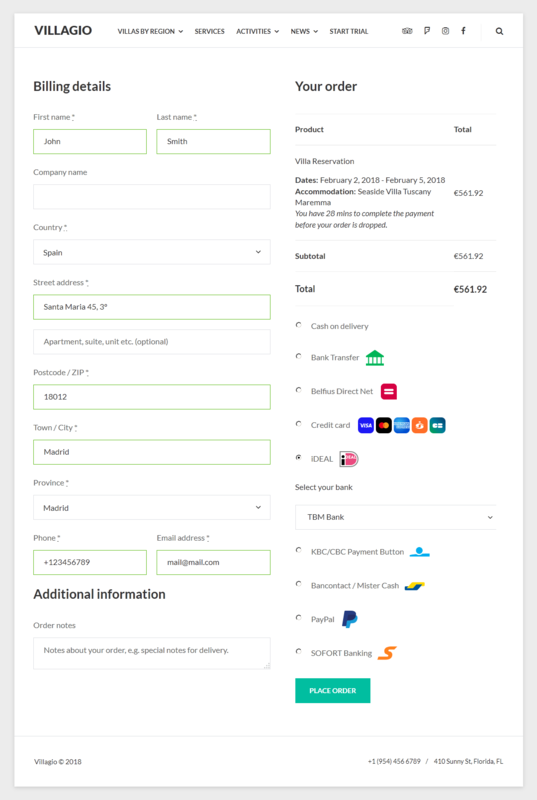 Can I use built-in payment gateways of MotoPress Hotel Booking plugin with WooCommerce ones simultaneously? Of course! Enable only those WooCommerce payment gateways, which are not available by default in the MotoPress Hotel Booking plugin. Can I use this extension to sell other products apart from using it for accommodation reservation? Yes, you can sell other products via WooCommerce, but please bear in mind that reservation and another product cannot be added in the shopping cart simultaneously (bookings are purchased separately from other average products). Can I use WooCommerce Subscription? No. Since the booking depends on accommodation availability, it cannot be controlled by subscription. Can I use other WooCommerce addons? Sure, other WooCommerce addons will work. Improved compatibility with WPML plugin. Improved compatibility with WPML Multilingual CMS plugin. Added the ability to hide WooCommerce payment method description on the checkout page if it is the only available one. Improved compatibility with Hotel Booking plugin. Five-star property rating system for Hotel Booking plugin. 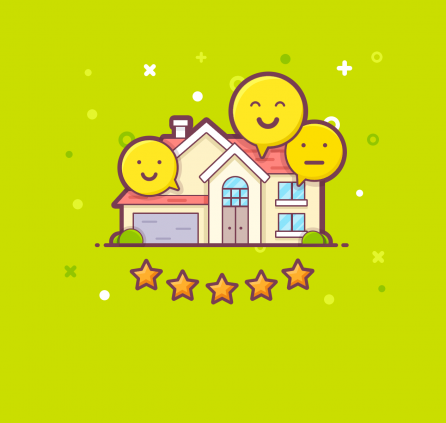 WordPress booking plugin for rental property. Automated "Balance payment request" emails for Hotel Booking plugin.